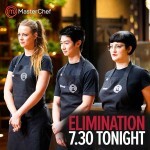 Tonight’s Masterchef Elimination was between Matthew, Reynold, Sara and Jessica. Marco Pierre White is in the kitchen and the contestants must cook a dish from their childhood. Matt Preston was not able to be on the show tonight, so Marco will be the third judge. Marco explained that when he was a young man, he had a privilege to cook with great chefs, and they all took their inspiration from their childhood. 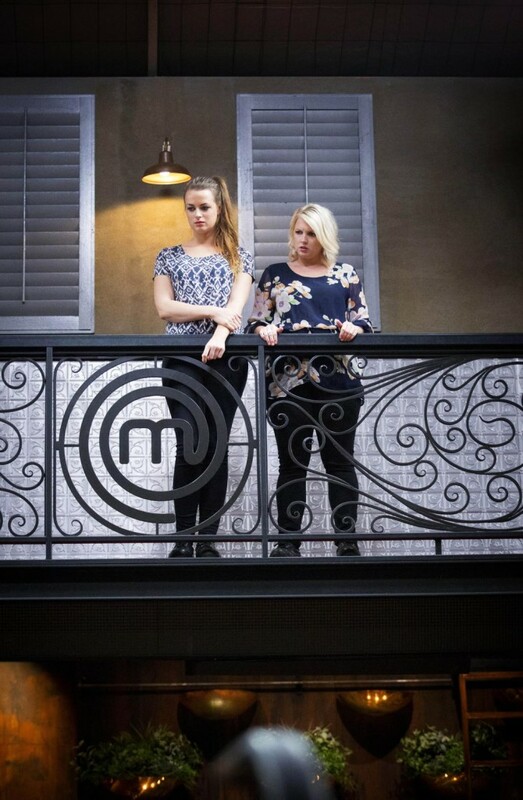 Georgia and Billie Look on. 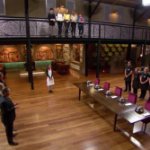 The contestants have 90 minutes to come up with a dish. The worst dish will send their maker home. 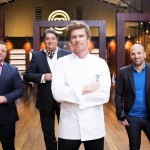 Who is eliminated from Masterchef tonight? Let’s find out! Sara is making pasta with parsley and a broccoli sauce. The parsley reminded her of her nonna, the broccoli sauce from her mother. Her pasta is made with double 0 flour and semolina. Sara was very emotional coming up with this dish. Reynold was talking about his mum, she didn’t spend much time with him as a child, as she was so busy being a cook. Reynold is making a chocolate ganache with honeycomb, which reminded him of reading his mothers cookbooks. He was making a dish that would make her proud. Jessica wanted to make big and bold flavours in her dish today. She is making a spicy, shellfish broth with a whole prawn cooking in the shell. Matthew is making a lasagna. It was one of the first dishes he learnt to cook from his mum. It was also the first dish he cooked for his wife. He was a bit worried because usually he would cook the sauce for hours. He didn’t have much time tonight. Jessica was making her broth, Marco came over and didn’t say anything, she thought it was too spicy and had to fix it. Reynold was making honeycomb. He had previously failed at doing this twice in a previous cook. His first go wasn’t right, the honeycomb didn’t have a great colour, he had to start again. Matthew was making bechamel, he thought it was good. Marco asked if it was right. Matthew said it needed more cheese, Marco said it needed more thought. He decided to put more cheese in, it was a big mistake, but Matthew didn’t realise. 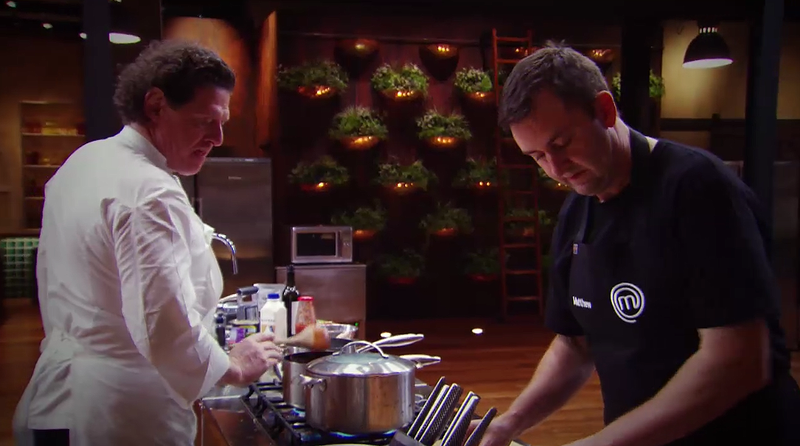 Could this mistake mean Matthew is eliminated from Masterchef tonight? Marco came over and said the classic way to make lasagne is to put the parmesan on top of the bechamel, Matt has put it inside the bechamel and made the layers in reverse. Meanwhile, Reynolds honeycomb worked. Sara took her pasta out of the fridge and tried to roll it out. It wasn’t rolling out well. She had to fix it. Marco wasn’t sold on putting herbs through the pasta. Marco came over to Jessica’s station. He asked how you would eat the dish. By serving a whole prawn, they would have to fish it out of the soup with their fingers. The first dish to be tasted was Reynold’s. It looked amazing. The dish was Chocolate ganache with jelly, honeycomb and ice cream. 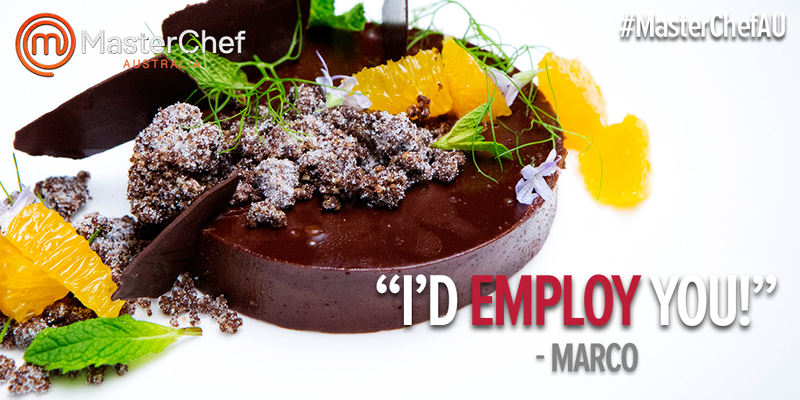 The dish was so beautiful, Marco said “I’d employ you”. Gary said it was the best dessert that they’ve had all season. It was “absolutely delicious”, every ingredient was “on the money”. Marco said it was rare to have a palette like his and that is why he is different to every pastry chef in the country. Next was Sara’s dish. The recipe was Parsley pappardelle with broccoli sauce. Gary said he thought it was delicious, it had good flavour, it was very simple but good flavours. Marco said it was possibly the simplest dish Sara has cooked, but it was nice. George also questioned the simplicity. 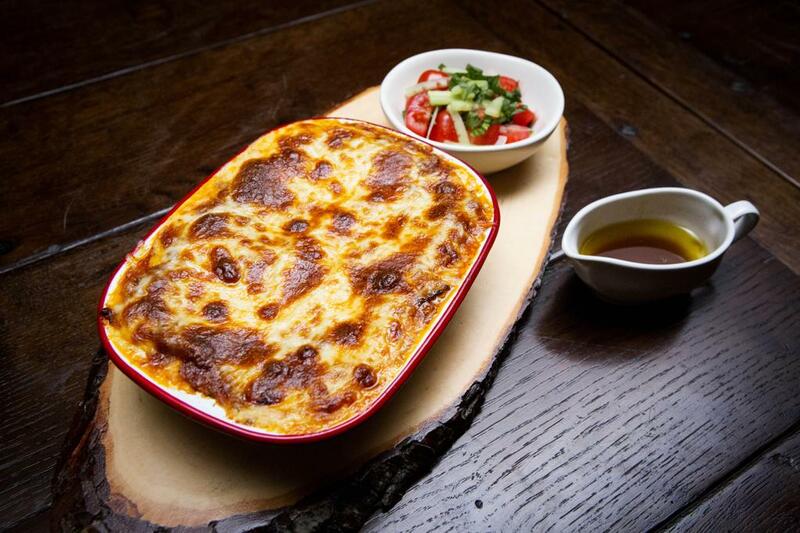 Matthew’s Lasagne with a side salad was next. Gary said there was no doubt it had a lot of flavour, but the balance was out. Marco was concerned with the cheese in the bechemal. Finally it was Jessica’s Grilled Prawns with Paprika and Prawn Broth. The judges question straight away how she expects them to eat the prawns as they need to be peeled and are sitting in the broth. She says she understands that it might be messy. George struggles to cut up his prawn. Gary says the broth is well seasoned and that it is very tasty. Marco says it was really messy. It’s judgement time. One dish stood out tonight and that was Reynold’s dessert. The loved the technique and flavours. It was the dessert of the season. Reynold is safe. It comes down to Sara, Matthew and Jessica. 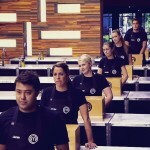 Matthew is eliminated from Masterchef tonight. what a load of crock!! Matthew should still be there, child hood memory? He did it the way mum taught him.. Either one of those girls should have gone home before him… So wrong? Yeah. I agree with you. Matthew is a very talented cook. It should have been Jessica. In the end it comes down to what dish was the most successful in taste and which ones they would want to eat again not what dish they were taught to make just like their mother did. If that was the case then Reynold should have been sent home as well since thats not a recipe his mother taught him to make. But best of luck next week to the rest of the contestants.